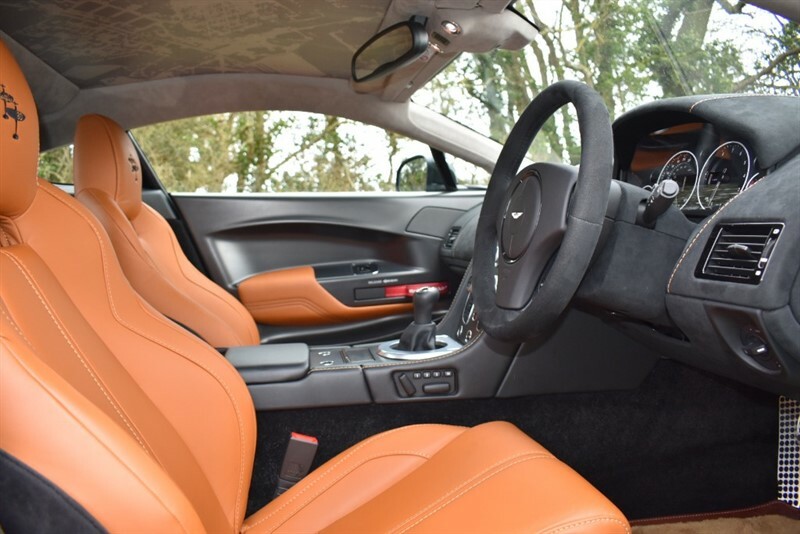 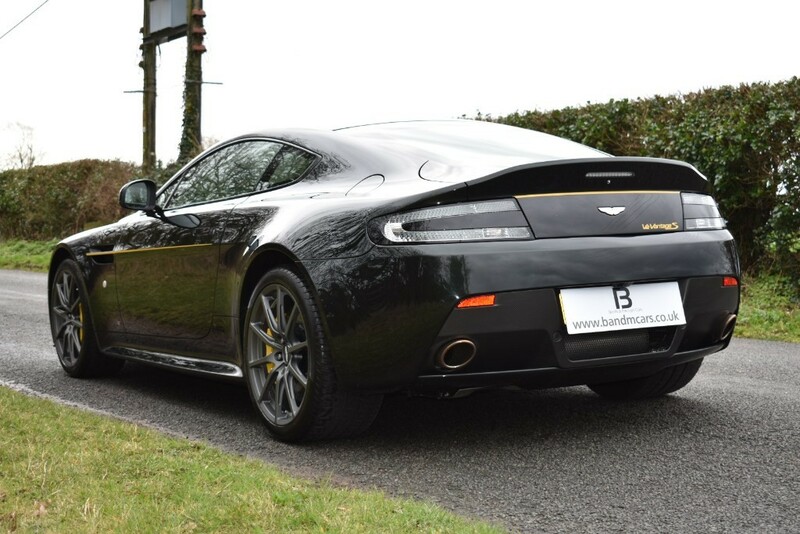 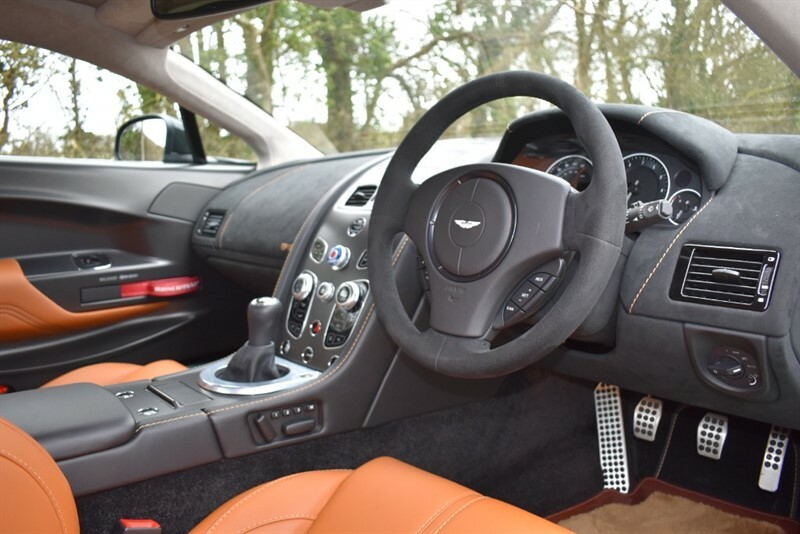 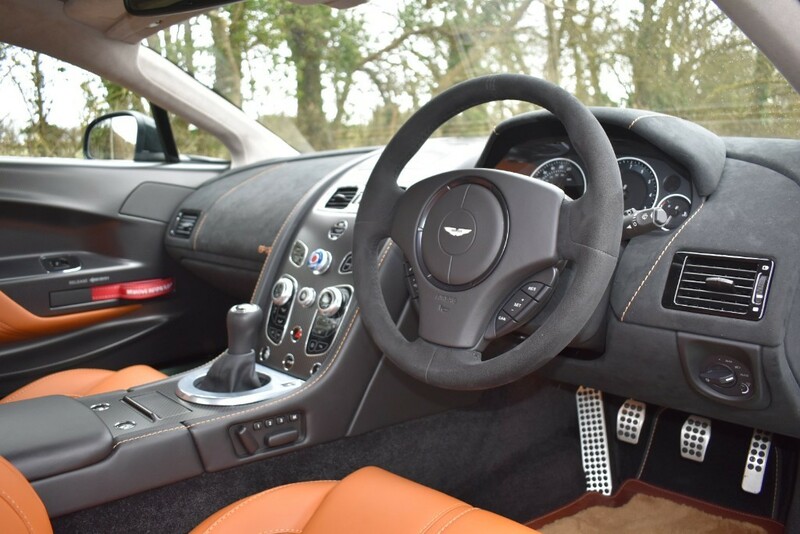 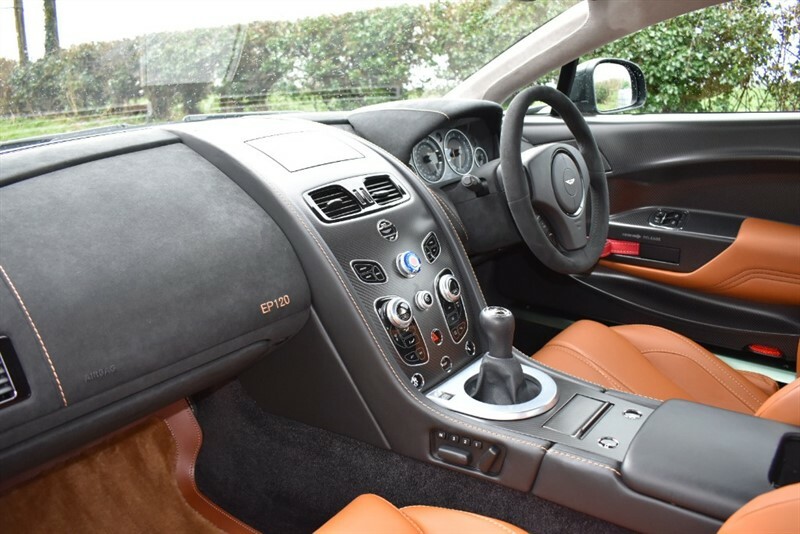 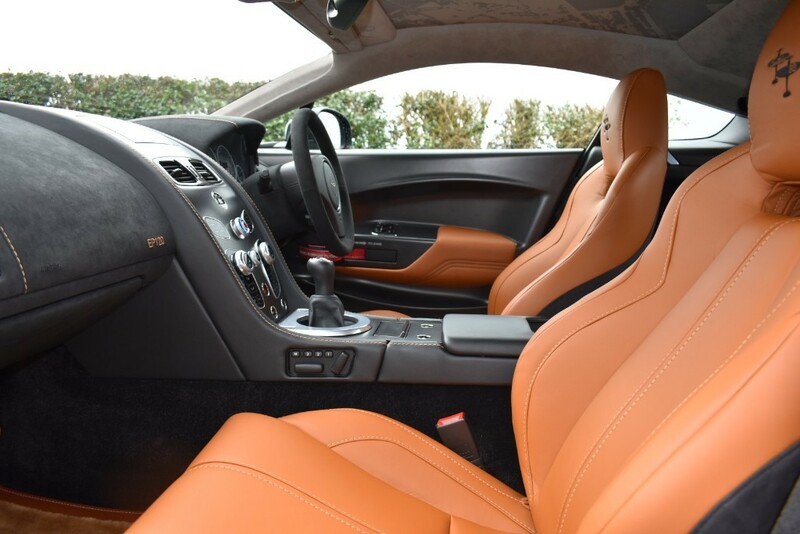 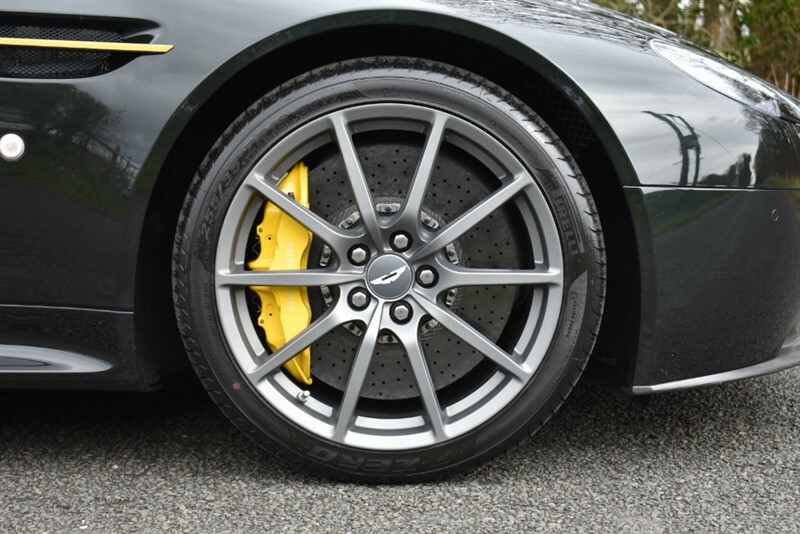 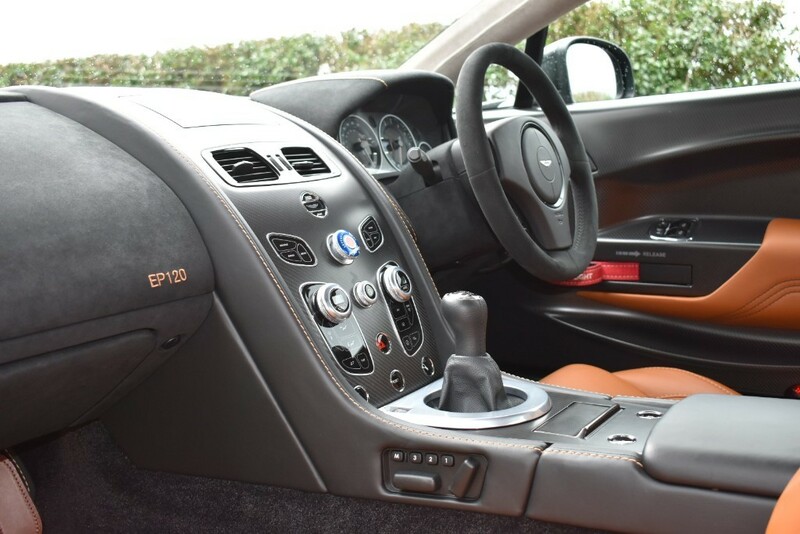 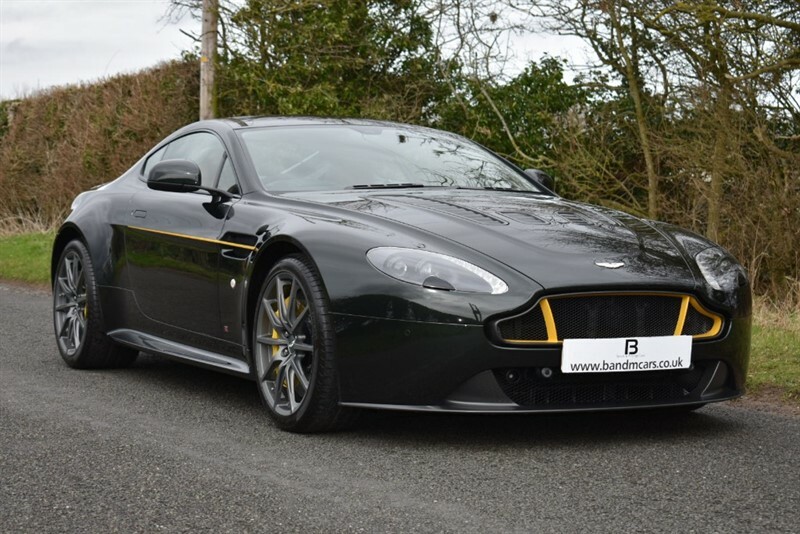 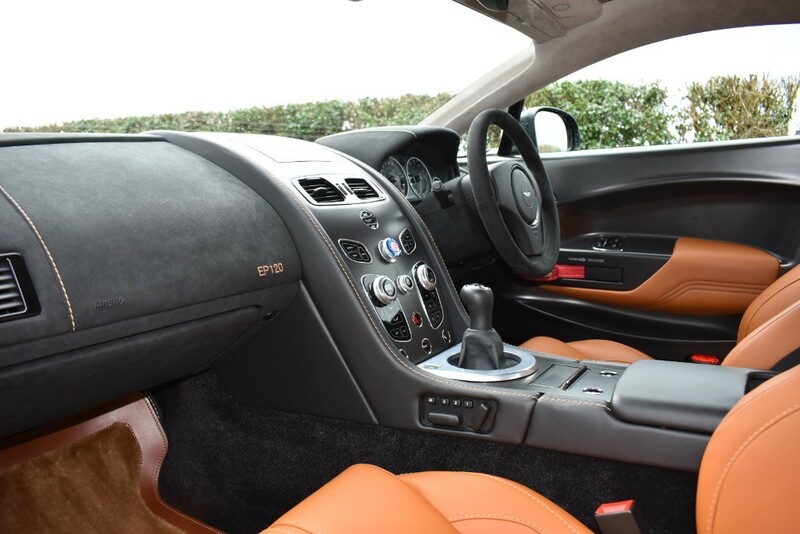 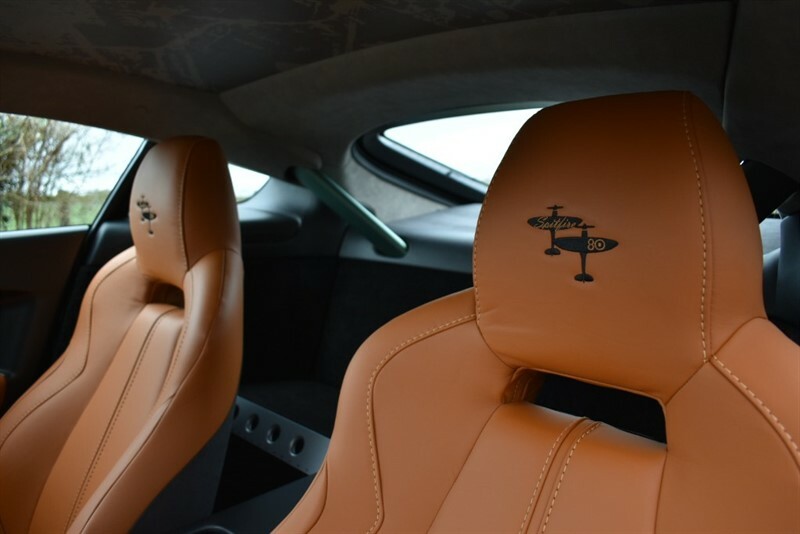 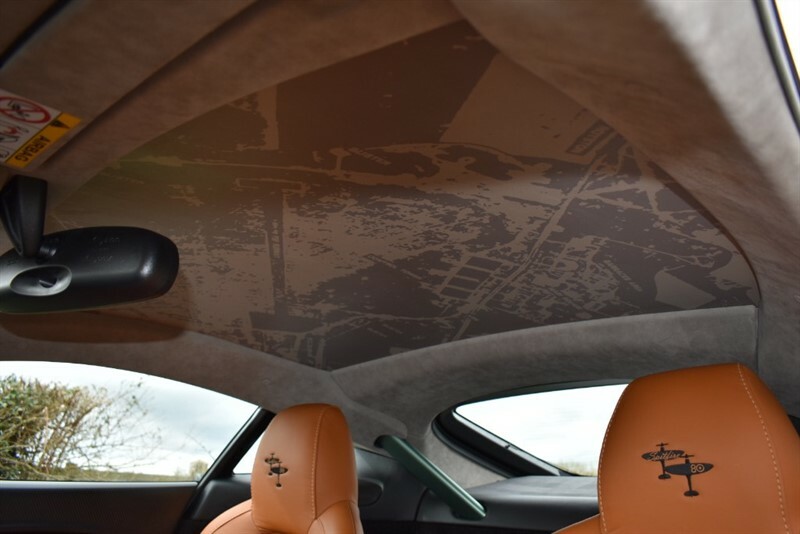 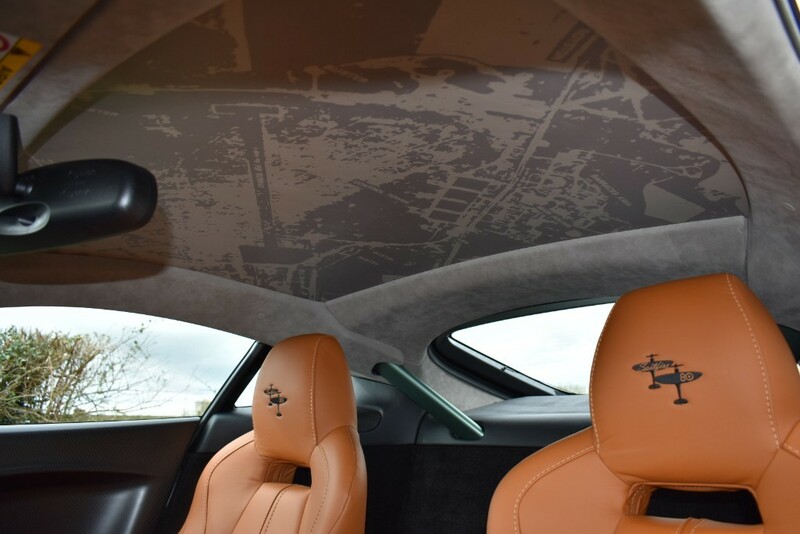 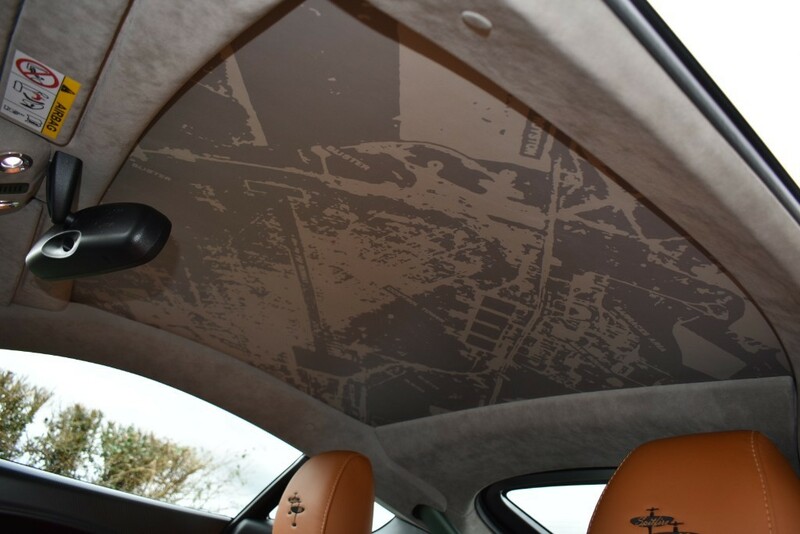 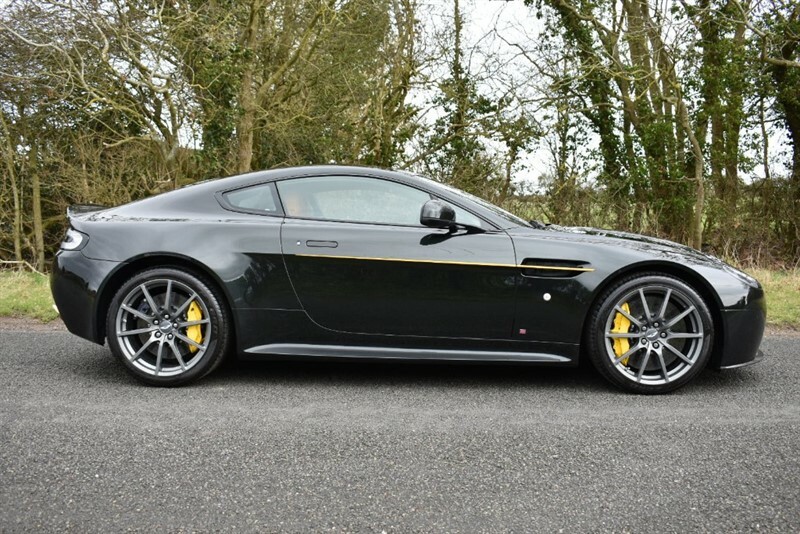 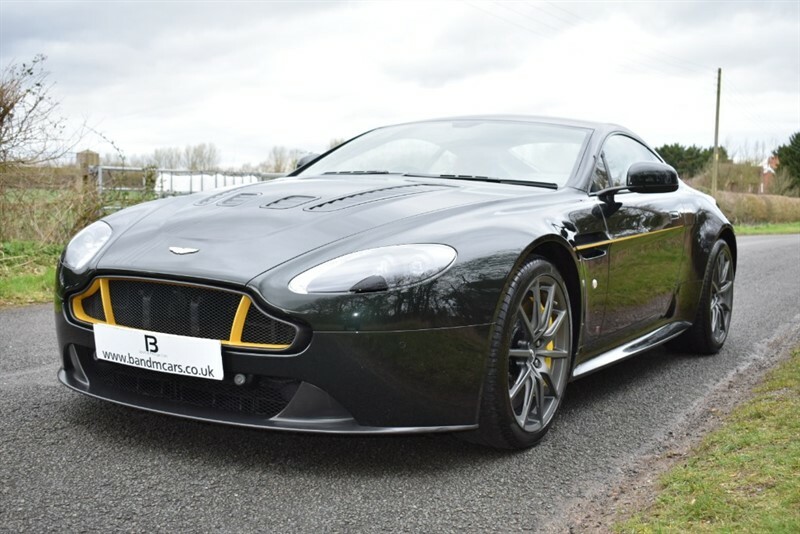 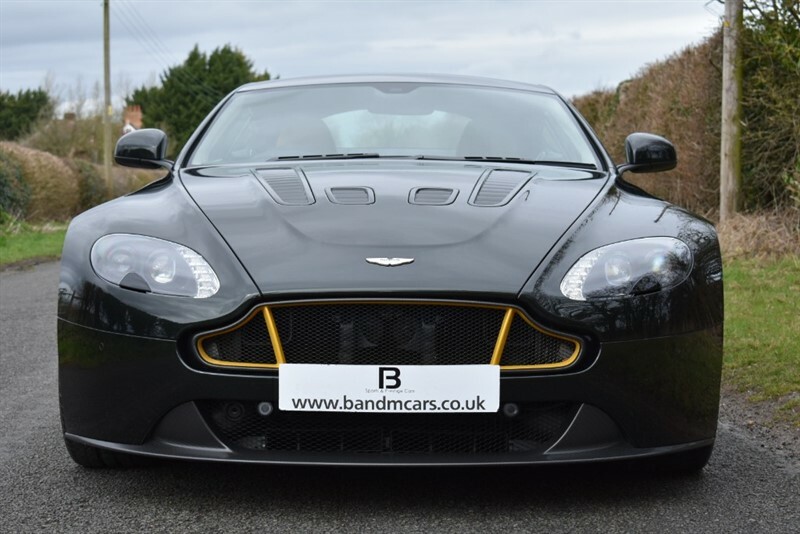 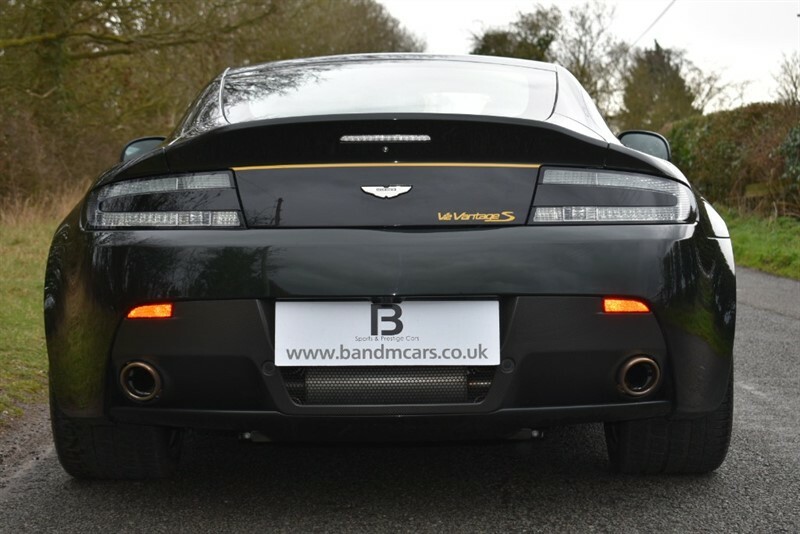 B&M Sports & Prestige Cars is part of the TG Holdcroft of Companies and we are delighted to have for sale this 1 of 8 ASTON MARTIN VANTAGE S COUPE SPITFIRE 80 EDITION, This car has been built in tribute to the Spitfire b y Aston Martin Cambridge. 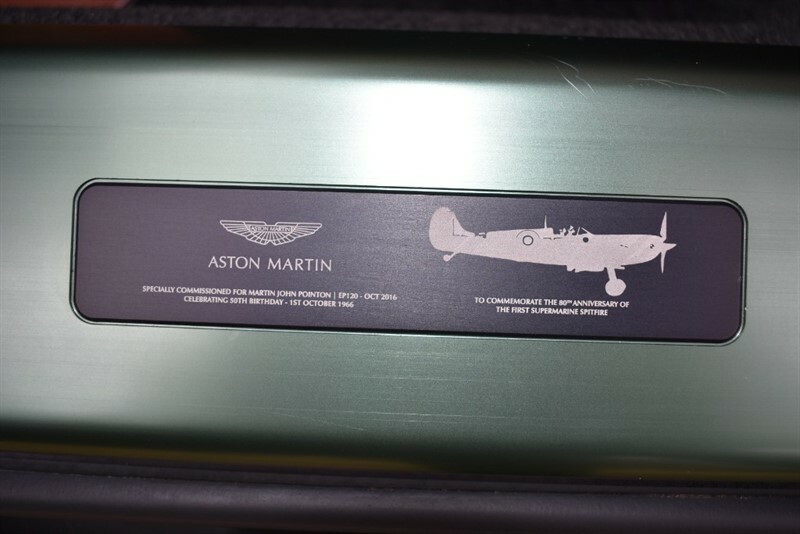 They kept the production to only 8 and with the Unique Q styling by Aston Martin to match the original Spitfire Aircraft. 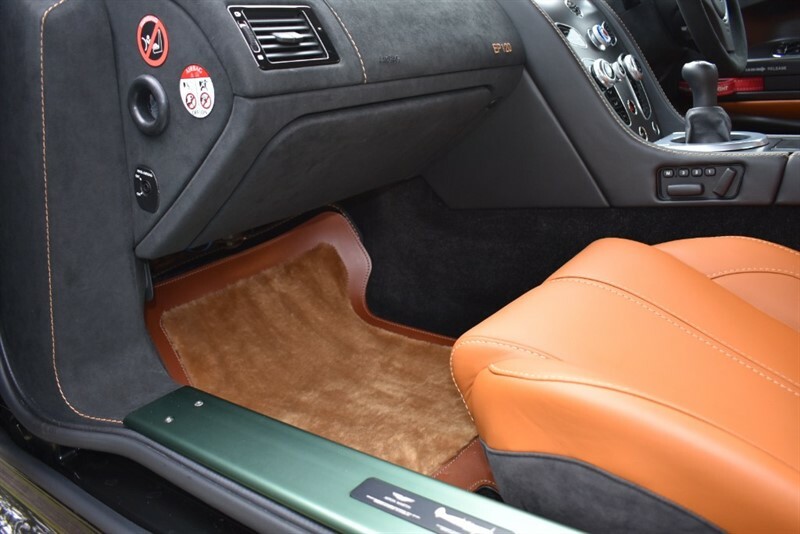 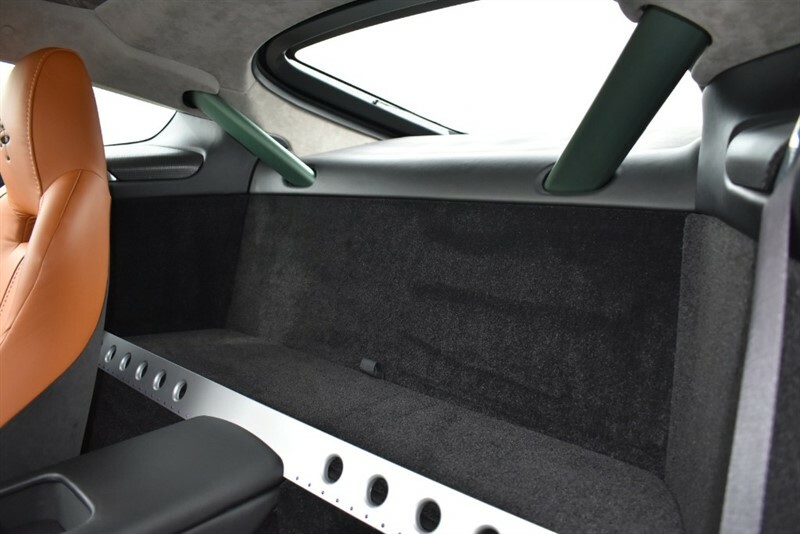 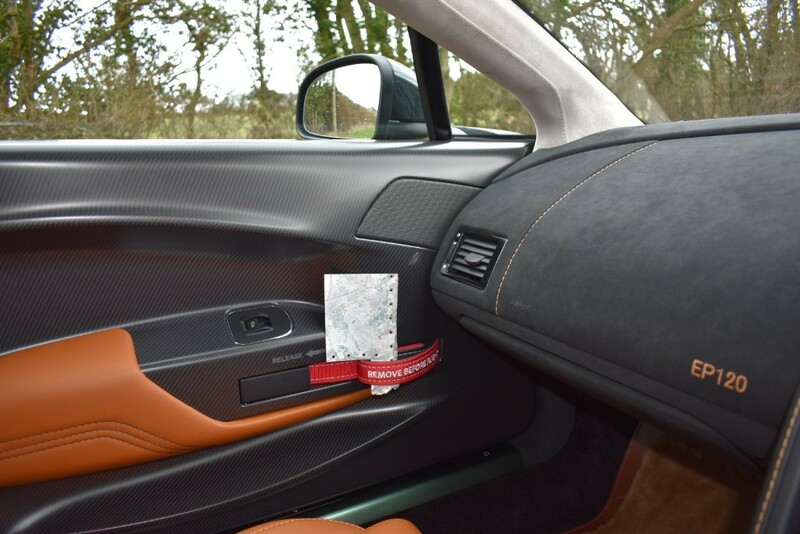 The cars colour combination of DUXFORD GREEN and KESTREL TAN LEATHER INTERIOR are a true reminder of the Spitfires Colours. 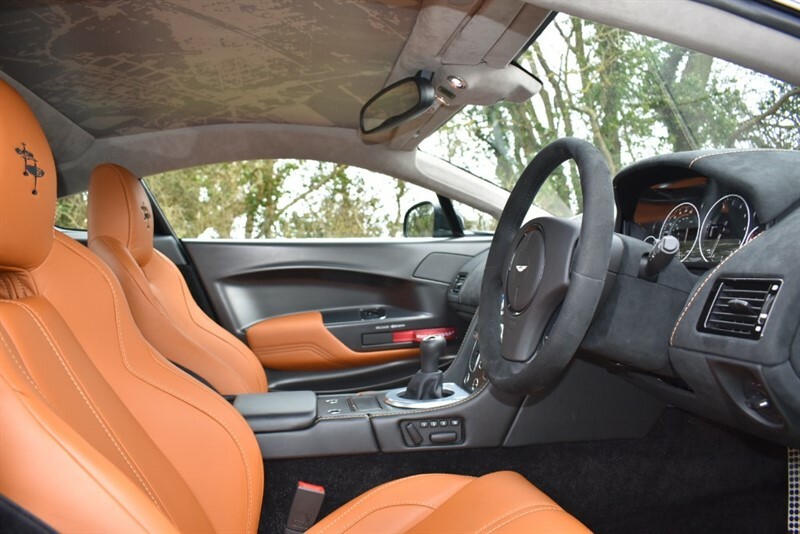 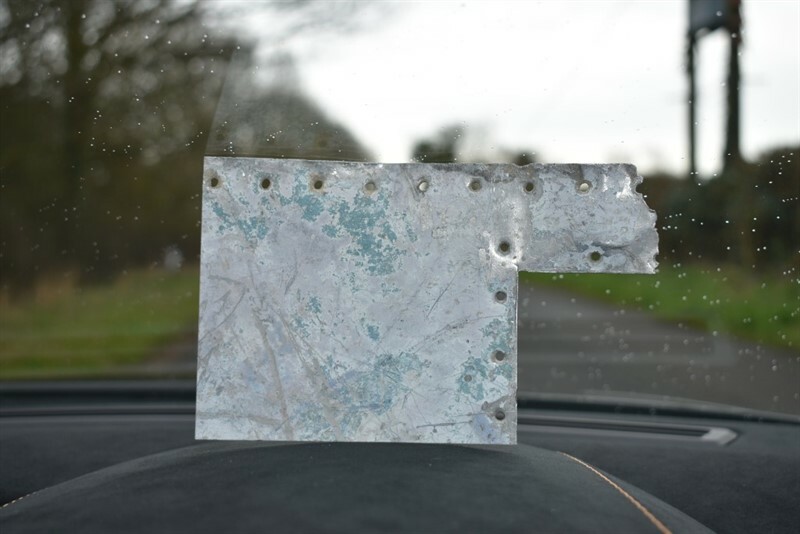 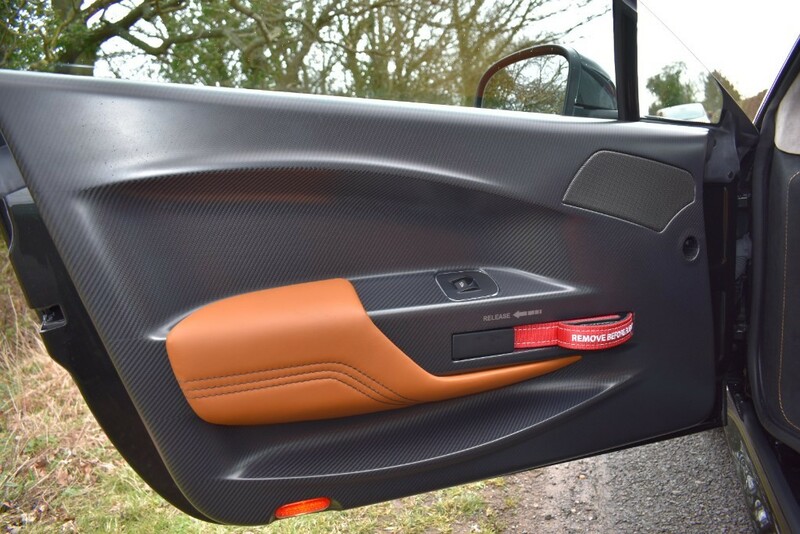 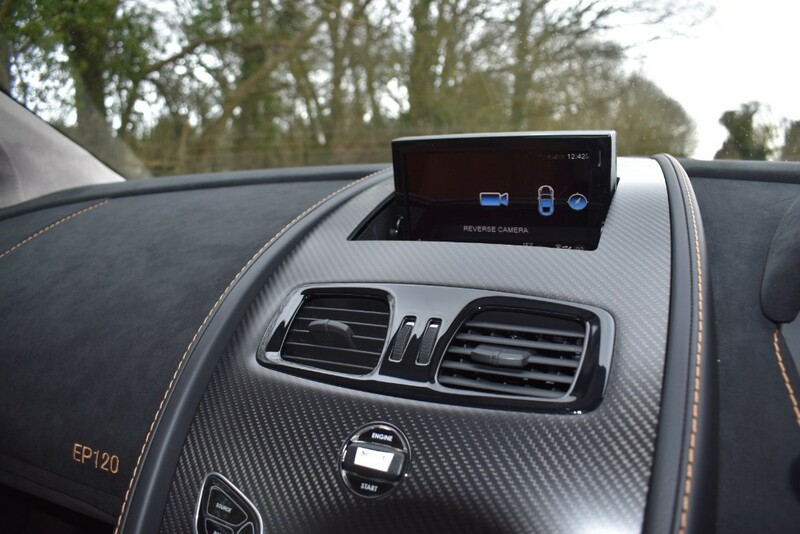 Even though these cars have been finished to a very high standard i will list some of the desirable and unique features associated with this car. 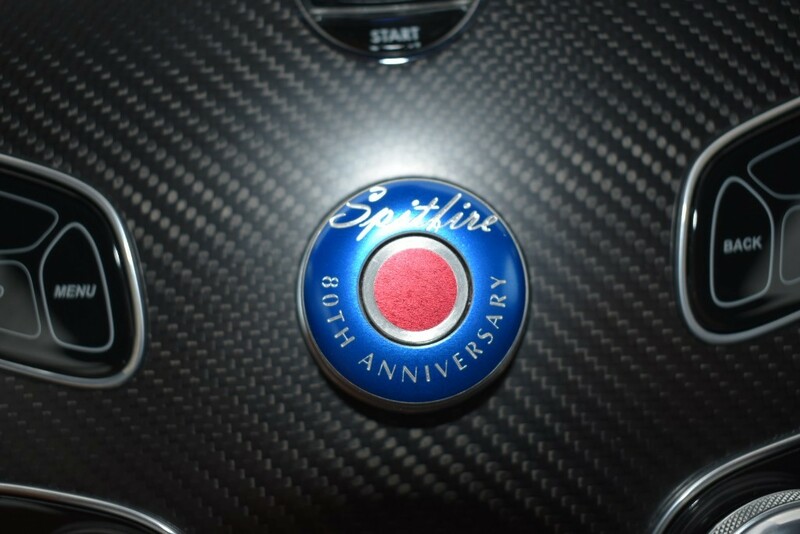 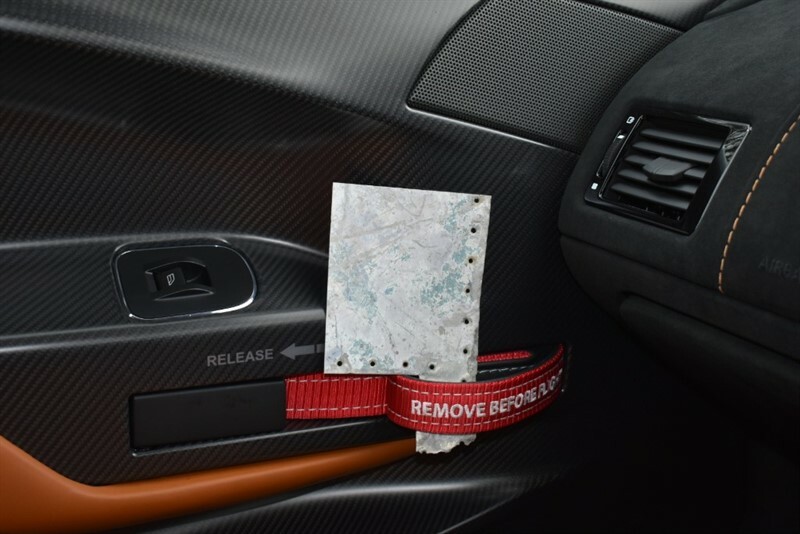 EXPOSED CARBON DOOR INLAYS - SAT NAV SPLASH SCREEN WITH SPITFIRE 80 LOGO - SATIN CARBON FIBRE FRONT AND REAR DIFFUSERS - AERIAL VIEW OF DUXFORD AERODROME IS PRINTED ONTO THE LEATHER HEADLINING - SPITFIRE 80 LOGO EMBROIDERED INTO THE HEADRESTS - SPITFIRE SERIAL NUMBERS LACQUERED INTO TOP SIDE OF SIDE STRAKE - YELLOW BRAKE CALIPERS - CARBON BONNET LOUVRES. 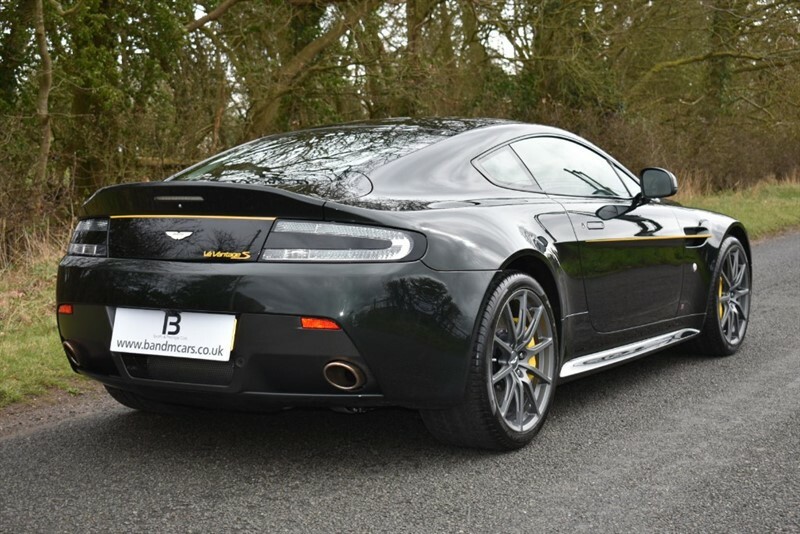 This car is absolutely stunning 1 of 8 worldwide and a great Investment opportunity.